The ICAE membership has elected officers for the term June 1, 2018 – May 31, 2020. Impacted by Hurricane Sandy? Remember to review ICAE’s CAT Survival Kit. 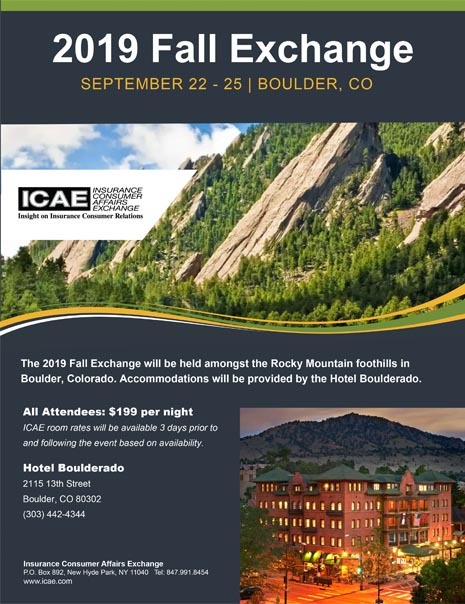 Register Now to receive e-mail notification of ICAE meetings and services. Failing to register will remove you from ICAE's distribution channel and you won't receive future information and meeting notices from ICAE. Take a minute to register NOW! We're featuring the OII's Insurance Careers site this month. Share it with students you know!